IV conscious sedation is administered through an IV (intravenous device) and is monitored and regulated by the doctor throughout the procedure. The sedative used puts the patient into a sleep-like state, although, he or she is still conscious and able to follow instructions from the doctor. Because sedation makes a person drowsy, a friend or family member needs to take the patient home after the appointment. After treatment, the sedation gradually wears off during the course of the day. Patients are typically able to resume their normal activities within 24 hours. IV conscious sedation truly changes lives. Do you have a low tolerance to pain or are you too afraid to visit a dentist? Sedation dentistry allows dentists to transform your teeth without any pain, anxiety or discomfort. Maybe you’re hesitant to visit the dentist because you’re afraid of the physical strain or pain that comes with a certain procedure. 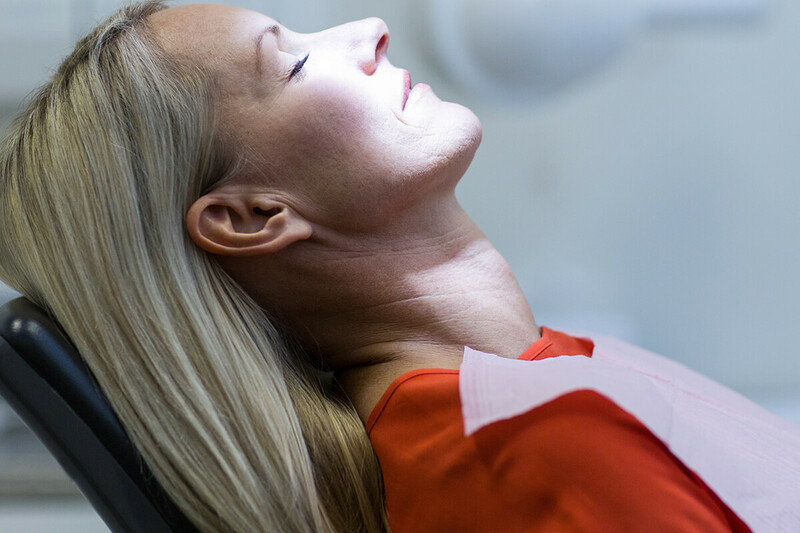 Fear not, because with sedation technology, you can finally relax. While on the sedative, you just sit back and relax while your dentist performs all the work pain-free and stress-free. sedation will be just the right dosage so that you’re unaware of the treatment. You will wake up refreshed and with little or no memory of the procedure. At last, years of dental treatment can be completed in one or two sittings because of the comfort level you will experience. Whether it’s fixing a chipped tooth, replacing crowns or dentures, restoring sore gums or whitening teeth, it can all be done with no pain! You can finally rest assured that you can smile, chew, and show off your beautiful teeth with comfort and confidence. Dental phobia is when a patient has an extreme fear of dental treatments. This fear can gradually result in the loss of teeth since they go unevaluated and untreated. Don’t allow the fear of dental work to hinder you from maintaining your beautiful teeth. Once a person’s teeth lose structure and health, it will affect their confidence and slowly cause them to withdraw from loved ones and social situations. There are many ways patients can maintain healthy teeth without experiencing discomfort, pain or anxiety. Once in the office, a sedative drug will be given to the patient before going through the planned procedure. For patients who have a greater fear of the pain or anxiety, oral conscious sedatives are available that can be taken at home a day before the appointment. It is MANDATORY THAT THE PATIENT WHO IS UNDER HOMECARE SEDATION NOT DRIVE OR OPERATE ANY VEHICLE TO AND FROM THE DENTIST. A 24-hour wait is required following your treatment. A trusted companion must drive you to and from your appointment. If you have any questions or concerns about sedation dentistry, feel free to contact us.